We’re always looking for any reason to make special occasions special and add that extra touch that makes you smile; including the season of love, Valentine’s Day. 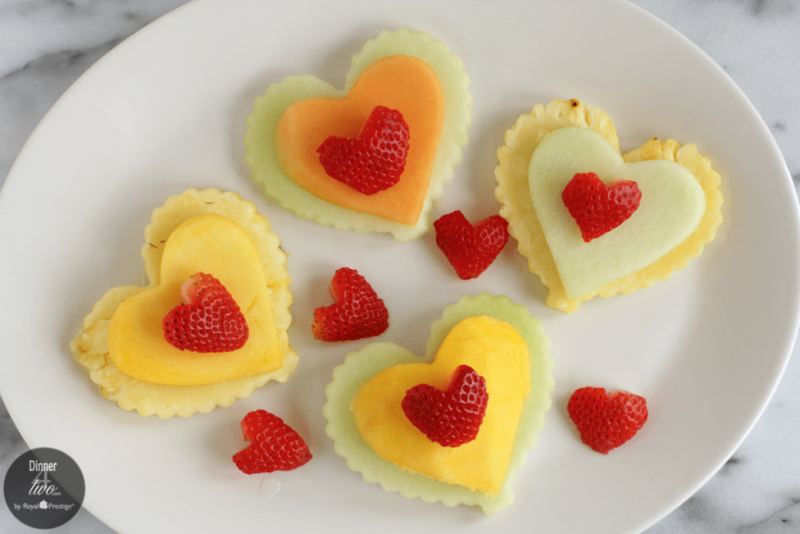 Just look at this healthy treat we created for you to share; Valentine’s Day heart healthy fresh fruit. Can we get an, oh my…those are so adorable, from you? These little sweet bites are literally the most perfect accompaniment to add to any Valentine’s Day meal. 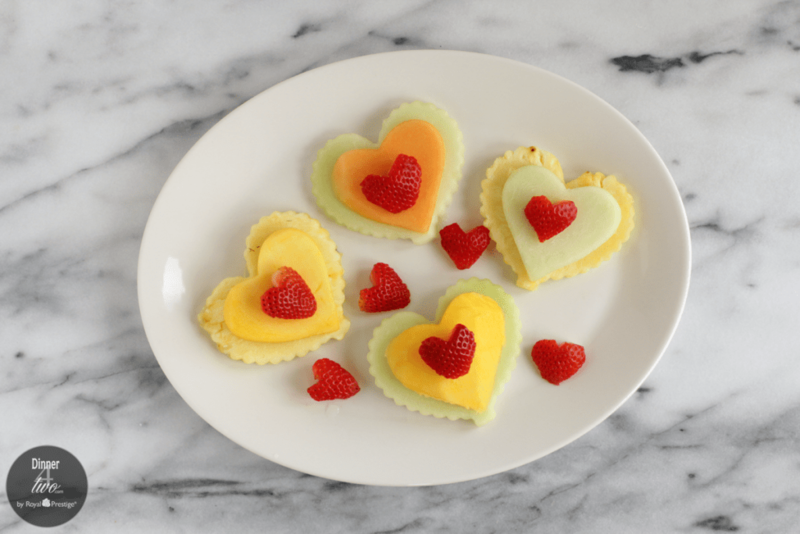 Use them to brighten and add a little love to your breakfast, lunch, dinner, a healthy snack or even put these sweet hearts in a salad. Who wouldn’t love that delicious bite smiling back at them on Valentine’s Day! Cookie cutters aren’t just for making sugar cookies. We used a variety of heart shaped cookie cutters to achieve our look. You can pick up several different ones including a variety of sizes at any of the craft stores or try Wal-Mart. They’re readily available for Valentine’s Day. 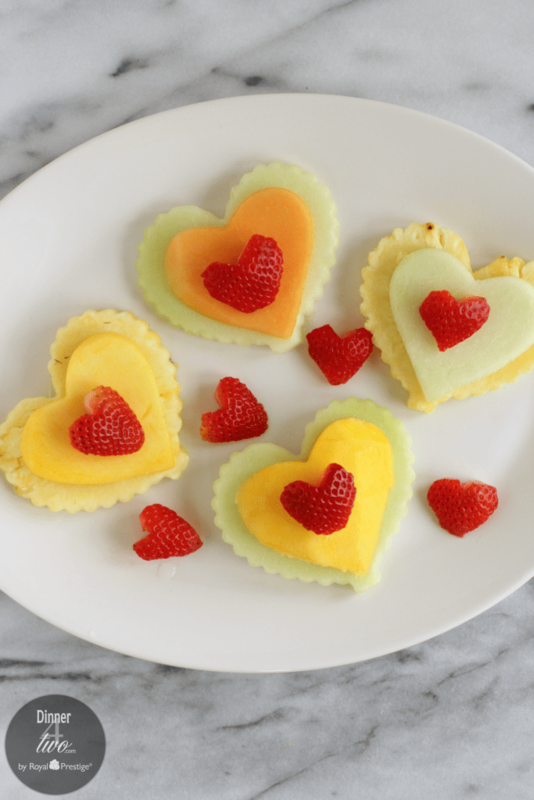 We kinda went heart crazy this year creating our Valentine’s Day heart shaped fresh fruit. There’re so many different fruits you could choose from…we choose honeydew melon, pineapple, cantaloupe, mango and strawberries. 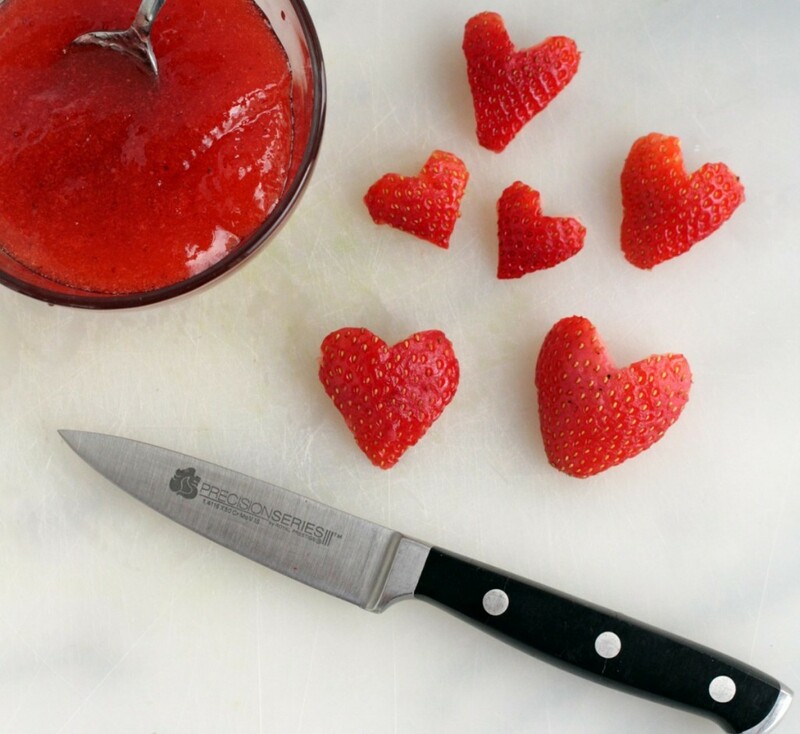 We cut the heart strawberries out with the Kitchen Charm paring knife. Cut the strawberry in half lengthwise and then make a V cut in the middle of the top of the strawberry where the stem is. The tip of the strawberry should be pointed enough for your liking to complete the heart; if it isn’t just give it a quick trim to make it more pointed. The rest of the fruit we cut into ¼ inch rounds and used our cookie cutters to cut the various heart shapes. 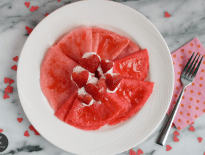 For a delicious snack you could also consider cutting a variety of heart shaped cheeses to pair with the fruit and a glass of wine. 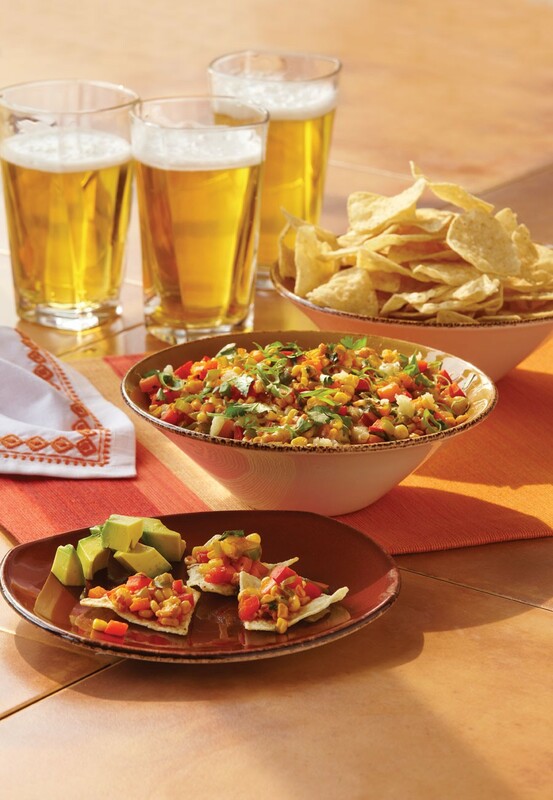 This is one culinary idea that can take you well into summer and add a little love to whatever you decide to serve at your table.